If you’re making the long drive on I-84 between Salt Lake City and Boise, Idaho, be sure to find time for a short detour to Twin Falls. It has the most spectacular viewpoint you’ll find in any city: the Snake River Gorge. 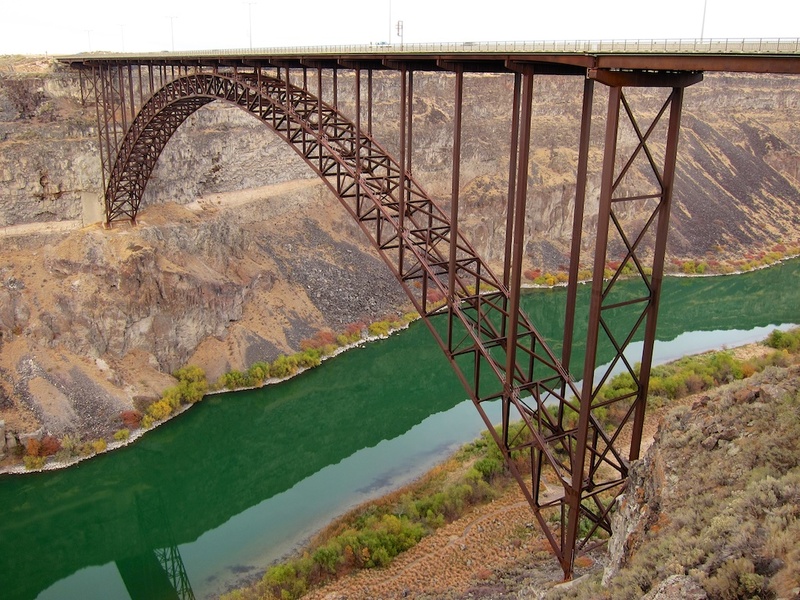 From the visitor centre beside the superb bridge spanning the canyon, it’s a gut-churning drop to the river far below and not far from Evel Knievel’s failed attempt to jump the canyon by motorcycle in 1974. Sometimes, it’s just one overlooked detail that keeps you from thoroughly enjoying your breakfast. At Buffalo Cafe, it’s the biscuit. 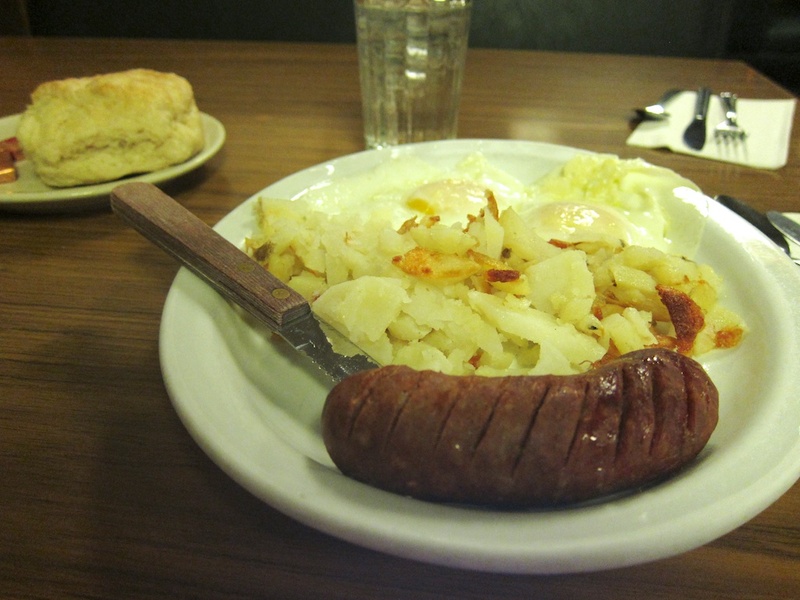 The eggs over easy are nicely done, the house-made chorizo sausage is tasty and the hash browns decent. But the hefty biscuit arrives cold. Maybe that’s the way it’s supposed to be, but the butter sits in an unmelted lump on top and even the nice touch of homemade jam doesn’t quite salvage things. A minute in the toaster or on the grill, and all would have been well. Buffalo Cafe is all by itself in an unlit industrial part of town, with a row of big truck cabs across the street in a compound. It’s not often I’ll wait an hour for a sandwich, especially when I’m the only customer in said sandwich shop. But I’m glad I do at *High Country Bakehouse on charming Main Avenue in downtown Twin Falls. The wait is largely my fault, as the coffee is on when I arrive at the 8 am opening, but the sandwiches aren’t due out for a couple of hours. Which gives me a chance to chat with owner Aaron Adams, a former psychology major who opened the bakery/sandwich shop a year ago, with the mandate to make everything from scratch. Thus his sourdough bread takes three days from start to finish. And his cousin Sara, who prepares all the meat for the sandwiches, marinates the turkey in Guinness and the New York strip steak in red wine before cooking and then slicing them. I order a half BLT, savouring every bite of the hickory-smoked bacon and vine-ripened tomato inside the chewy sourdough. To go, I take a loaf of honey whole wheat, too hot from the oven to bag and thus filling my car with a heavenly odour that almost overpowers the stench from three weeks of car camping. While waiting for the day’s sandwich making to begin, I also talk to Paul Graff, who’s just moved into Bakehouse’s premises to set up his Twin Beans Coffee Co. He pours me a fresh cup of his day’s blend. Tastes pretty damn fine to me, but he grimaces slightly with his first sip. He’s not happy with the city water supply and how the required filtering will affect the dissolved solids in his brew. Some tweaking will be required. Got to love that passion for perfection. Boise, Idaho’s state capital, is a surprisingly modern, prosperous city—population 200,000-plus/over 600,000 in the metropolitan area—with more downtown high-rises than I’m expecting. Boise State University is a dominant presence, with its formidable football team (Go Broncos!) playing on distinctive blue turf. There are lots of good eating options here for the road tripper. I’m ready for something different at lunch and Tango’s Subs and Empanadas certainly delivers on all fronts—originality, taste and affordability. I walk into what looks like an old drive-through and am warmly greeted by the burly owner with a bushy moustache, stationed firmly behind the counter while his wife hustles around the kitchen. 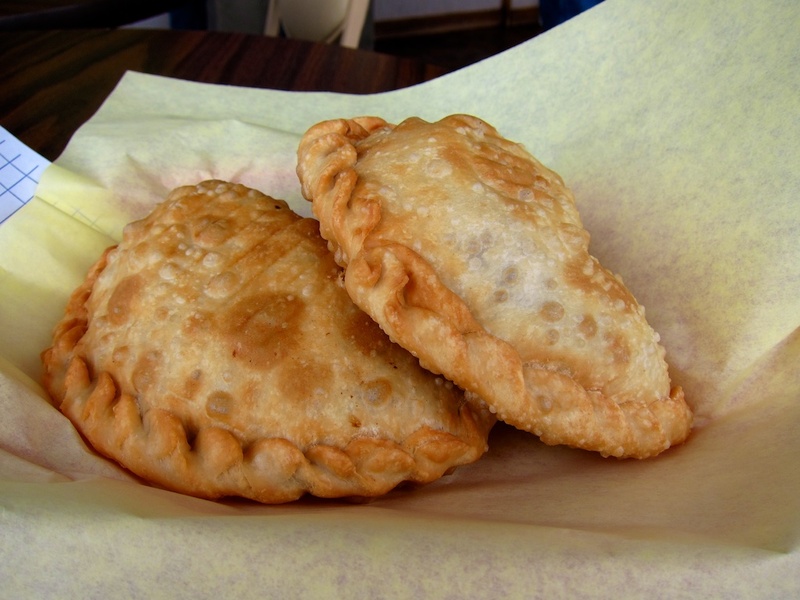 It’s an Argentinian joint, so I opt for a couple of empanadas, which come out hot and fast. One is a gaucho—a ground beef, green olive and hard-boiled egg mix—and the other a Mexican-style mole with pulled chicken, peanuts, chocolate and chilies. Add a little green salsa for kick and I’m ready to chow down. But what hits these babies out of the park is the enveloping pocket: flaky pastry that’s fried to produce a crunchy texture to offset the soft insides. Two of these empanadas, for $5, is almost more than I can eat, but when they’re this tasty, I manage to get every crumb down. Unfortunately, there’s no spare room for a dessert empanada—a thick caramel dulce de leche. 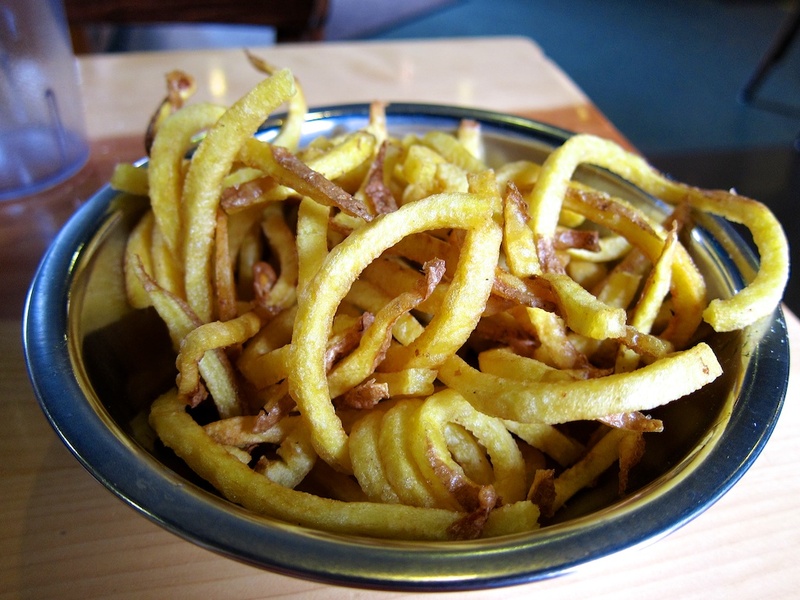 How often have you been asked: ‘Would you like that with fries?’ Well, at Boise Fry Company, in the great potato state of Idaho, things are turned on their head. Here, the burgers are the sides, and the focus is squarely on the esteemed spud. Thus, when entering this potato palace, I spurn the burger menu completely and am walked through the many fry options. You pick your potato—say a russet, purple, sweet or Yukon gold—and see what cuts it’s being offered in that day; regular, shoestring, etc. I opt for an unfamiliar variety, a Laura, in a shoestring cut. It has a sweet, nutty flavour and is slightly crisp from being double fried in peanut oil, as are all Boise Fry’s offerings. A nice touch is adding the salt mixes (try the rosemary garlic) and choosing the dips yourself and thus being able to season to your taste. As I leave, I’m tempted to ask for a sack of potatoes to go. It’s funny sometimes how you’ll go looking for one thing and discover something even better. So it is when I walk into Dawson Taylor Coffee in downtown Boise. The French press pot I order is decent enough though rather pricy at $4.50. While waiting for it to brew, I walk through a doorway into an attached space that turns out to be a separate business: Zeppole Baking Co. I’m pretty fussy about muffins and rarely order them, but I can tell that these, with their thick bottoms wrapped in paper, are dense and moist. 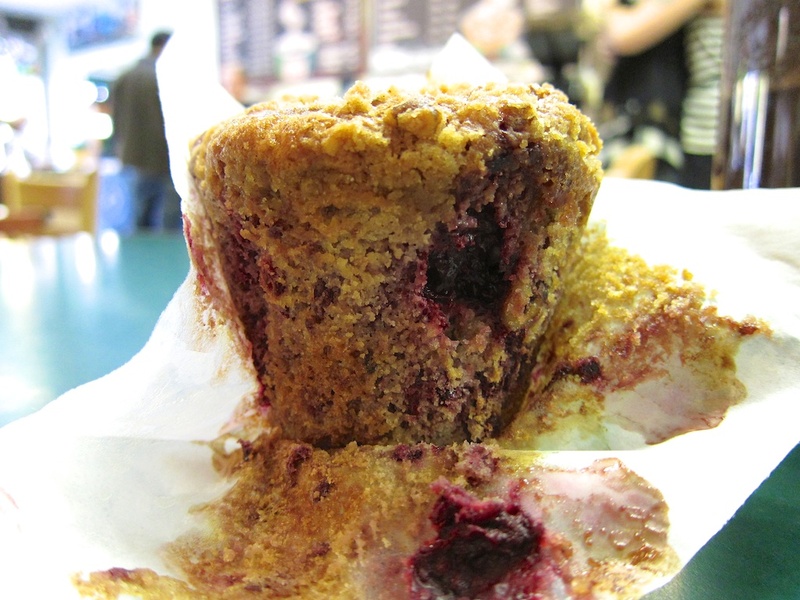 So I order a blackberry streusel, a sinfully good $2 treat to go with my coffee. The kalamata ciabatta also catches my eye (I can usually tell baked quality by just looking) among the many fine, cold-fermented breads on display. I’ve just eaten lunch elsewhere, but I notice lots of folks munching on ciabatta-based sandwiches, and they’re only $4.59. A bowl of soup with endless bread is another bargain at $3.69. 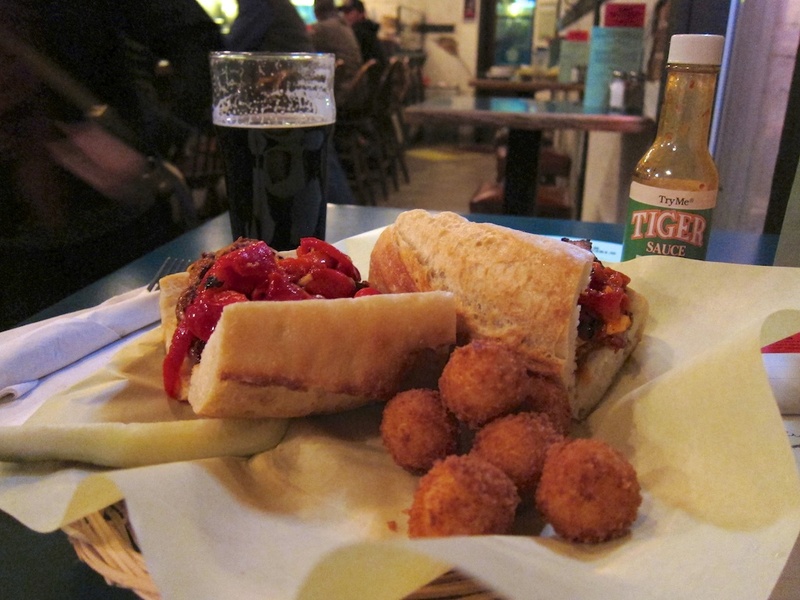 It all adds up to tasty cuisine at rock-bottom prices, especially for downtown Boise. It’s a Monday night, so I’m safe from temptation at Bar Gernika. I can go with a Basque-style Solomo sandwich, a lovely marinated pork loin with mounds of red pimientos in a crusty French loaf, along with a side of croquetas (little doughy, deep-fried balls similar to that southern staple, hush puppies) and a pint of nitro-infused stout. I could also order a nice sandwich of Basque chorizo sausage or sliced lamb. But if I want a little tongue, I’ll have to be there on a Saturday. It’s the only day beef tongue is offered, albeit with a good amount of garlic and tomato seasoning. Indeed, it’s slow cooked enough, the bartender assures me, that it falls apart like a pot roast. In any event, it’s all gone in a couple of hours. Bar Gernika is a pub in a narrow, historical building (it was once a Chinese laundry) in downtown Boise, with exposed brick walls and a small open kitchen next to the bar. In fact, grab a Saturday bar seat, and you can watch your tongue being grilled. Want to design your own breakfast? *Goldy’s Breakfast Bistro, a cozy little downtown diner that you strangely enter through a heavy purple curtain, let’s you do just that. You can choose your meat, style of eggs, potatoes and bread or any of the above on their own. I actually prefer a complete package, so I go for something I’ve never had before—Andalusian eggs. 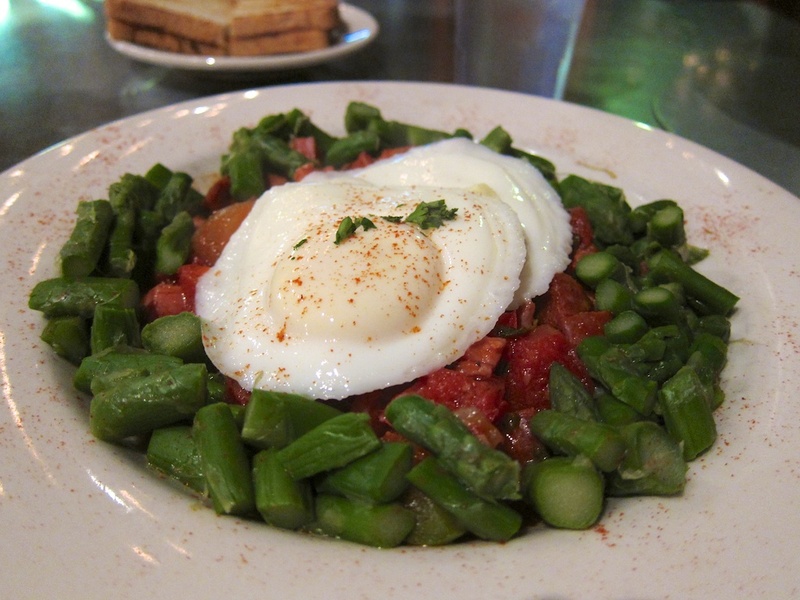 It’s a revelation, featuring a bowl full of ham, chorizo and peppers in a thick tomato sauce, with two poached eggs on top and a thick ring of asparagus. It’s delicious but a little too rich for me to finish this early in the morning. What puts this place over the top is the offer to take another coffee refill to go. When I say I want to go to an Internet cafe, the waitress says just take the coffee up the block to their Goldy’s Corner, where they offer me yet another free refill. Now, that’s service. This entry was posted in Boise, Restaurants, road food, Twin Falls and tagged Boise, Idaho, Twin Falls on June 11, 2013 by bcorbett907. You really have a knack for recreating the essence of the meal. Great fun to read and salivate over. Wonder when I’ll head to Idaho?? It’s a short drive from Cowtown. 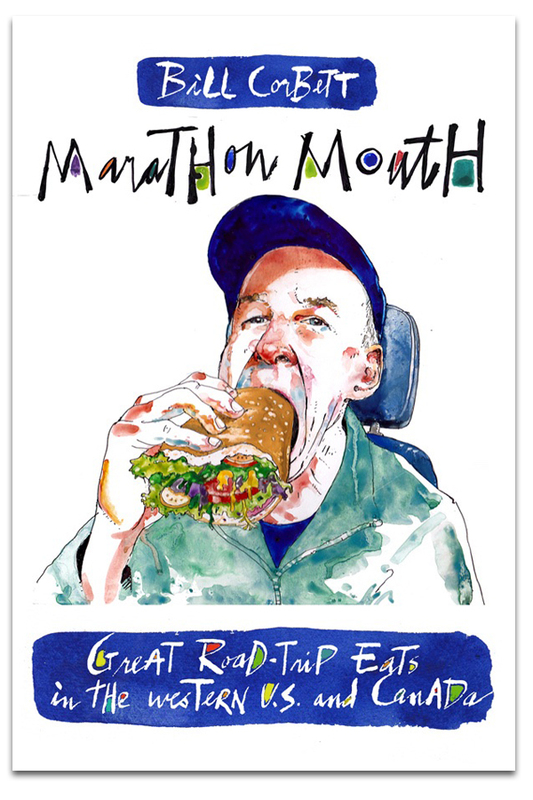 Let’s say I’m a subscriber to the Marathon Mouth e-mails, and I am planning to drive from Canmore to City of Rocks. How do I search your site for food beta for specific towns along the way? Maybe you should have a very short message at the end of each blog, including a hyperlink, that explains how to search through your historic blogs for the city/town they are visiting next week? You’ll just have to wait for the book 🙂 Actually, in the search box at the top right of the blog, you can enter the name of a city/town, place of interest (i.e. Zion National Park) or even type of food (pizza) and all the posts related to that topic will show up. Alternatively, you can click on towns/cities and states/provinces under Categories, again on the right, to get similar results. As you suggest, maybe a message about how to do this might help.